Publishing in journals is an important responsibility of academics, researchers and practitioners. It helps us to share information about innovative and effective nursing practice. 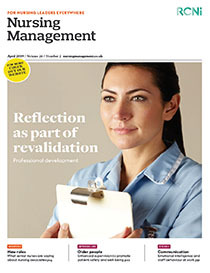 Evidence-based practice is vital to nursing, and health and social care, but research suggests it is less widespread than it should be. One reason may be that front-line practitioners do not always have the support, time and knowledge to search for and review evidence.